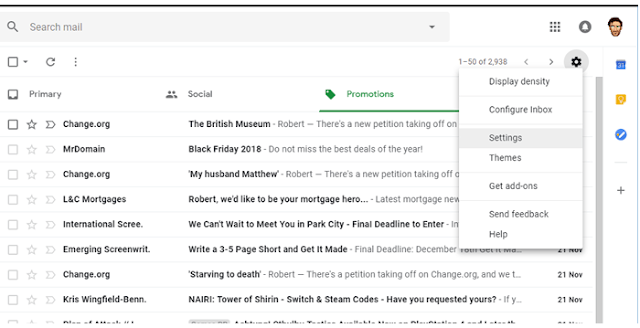 Moving from one Gmail account to another Gmail account is just a sign-up away, but leaving all your old emails behind isn’t really an option in most cases. There can be thousands of important emails that you may like to keep with you. Additionally, you may also like to keep receiving incoming emails from the old Gmail account to the new one. Thankfully, Gmail offers a simple process to move emails from one Gmail account to another to keep receiving new emails as well. If you are looking to move your old emails to your new Gmail account, follow the process explained below. POP (Post Office Protocol) is a protocol that retrieves all the emails from a server and saves them to the client. 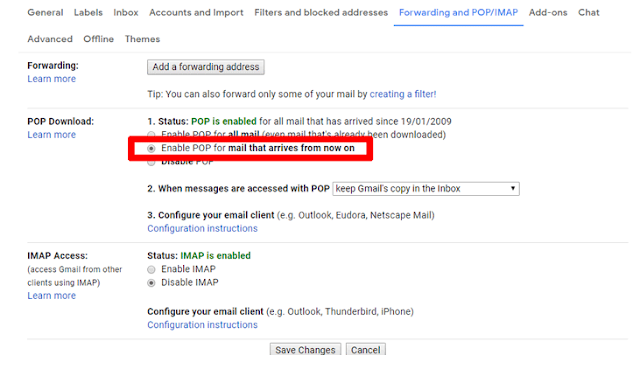 By enabling POP in your old Gmail account, you can allow Gmail to fetch emails (old and new) from your old account and transfer them to another account (your new account). To enable POP in your old Gmail account, sign in to your old Gmail account and click on the Gear icon located at the top right corner of the window. Now click on the “Settings” option to access Settings. 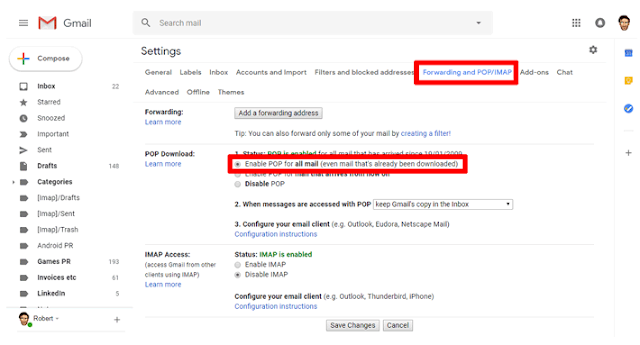 There is also an option of “Enable POP for mail that arrives from now on” which will only send the new emails to your new account and not the currently stored ones. 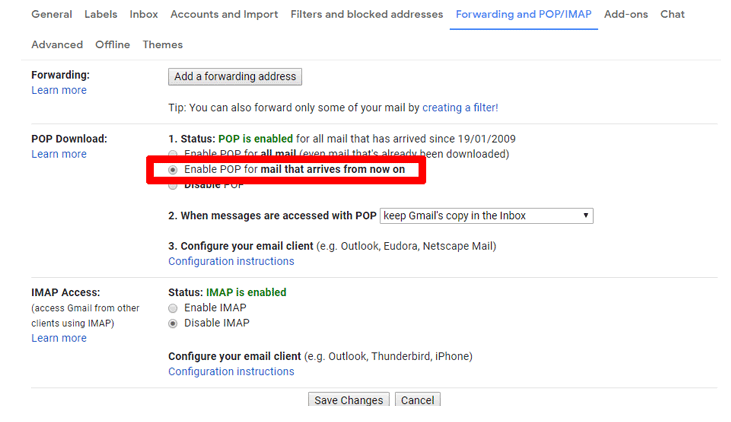 Now you need to add the POP-enabled Gmail account to your new account so Gmail can start receiving emails from it. Sign out of the old Gmail account, and log in to the new one. In the new account click on the Gear icon, and select “Settings” from the menu. Click the “Accounts and Import” tab, then click “Add a mail account”. Uncheck: Leave a copy of retrieved message on the server. Check: Always use a secure connection (SSL) when retrieving mail. Uncheck/Check: Label incoming messages – Check it if you want to Label the messages. Uncheck/Check: Archive incoming messages – Check it if you want to archive messages instead of sending them to the Inbox. When you click on “Add Account,” you will be asked if you want to reply to the received emails as the “old email address” or the new one. This can be handy if you want to make sure your recipient receives emails from your old account to identify you. If you choose “Yes,” you will have to verify your old email address with a confirmation code. If you choose “No,” the setup will finish and your account will be added. It may take some time to retrieve all the emails, so you may have to wait a bit. Furthermore, you can always click on the “Delete” button next to your added account under the “Accounts and Import” tab to stop receiving new messages from the attached old account. Note: You may get an “unauthorized access” error when you click on “Add Account.” This happens when Gmail doesn’t trust the other application/account that is trying to access your old account with POP enabled. Just go to Allow Application page and click on “Continue” to allow access for ten minutes. Now you will have ten minutes to click on the “Add Account” button again and continue the process. 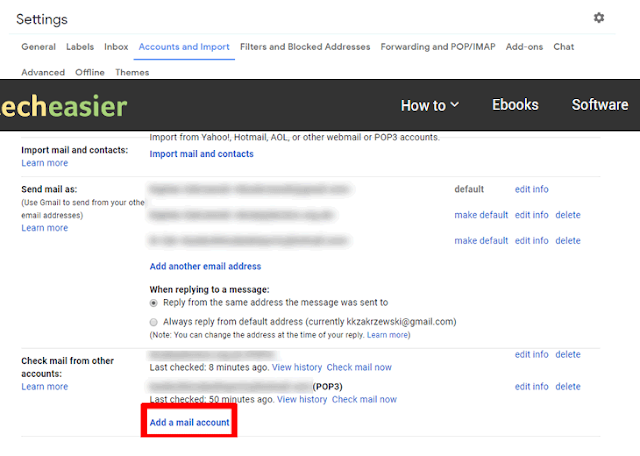 The steps listed above are the easiest way to move and manage email from your old Gmail account to a new Gmail account. You can also use the IMAP option and copy emails from a email client like Thunderbird or Outlook. However, it can be a bit complicated and a more tiring process. If you have any questions, let us know in the comments below.